Daniel is a Brazilian neuroscientist passionate by technology and enthusiastic about the underlying learning mechanisms of human and primate brain. Daniel officially started researching Artificial Intelligence within the first few weeks of his BSc Science & Techonology degree in 2009. Such research successfully resulted in two publications over two years of research project. Since then he has also graduated in BSc Computer Science and BSc Artificial Intelligence, the later one at the University of Liverpool. 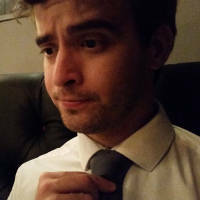 Daniel started his DPhil program at Oxford University in 2014 whilst he was still undertaking his MSc Computer Science. Recently Daniel had his Master thesis accepted and now works towards concluding this DPhil research program. Daniel has also created this website! Daniel's doctorade research focus on developing biologically plausible computer models of the brain that will advance understanding of how key visual response properties of neurons in the primate lateral intraparietal area (LIP) could arise through visually-guided learning. Specially the development of head-centered LIP neurons is currently being investigated and natural human eye and head movement are to be additionally used to extra validate the models developed. His research is supervised by Dr Simon Stringer and initially co-supervised by Professor Glyn Humphreys. Currently the co-supervision is done by Dr Hannah Smithson .